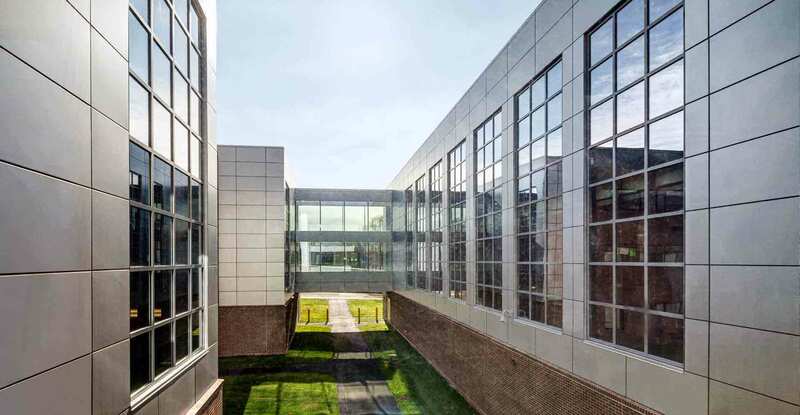 In 2012, as part of the City of Waterbury’s School Construction Program, Kenneth Boroson Architects was contracted to design additions and alterations to the Michael F. Wallace Middle School. Originally constructed circa 1972, Wallace Middle shares a common building with Crosby High School and is located in the “East End” of the city. 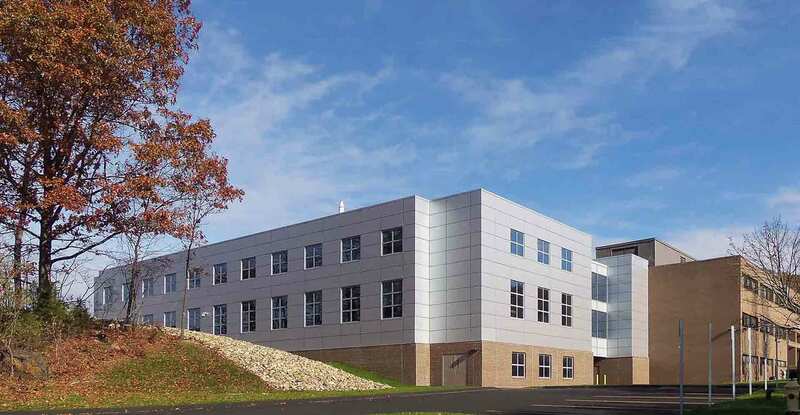 One of four middle/intermediate schools in Waterbury, it accommodates approximately 1300 students in grades 6-8. 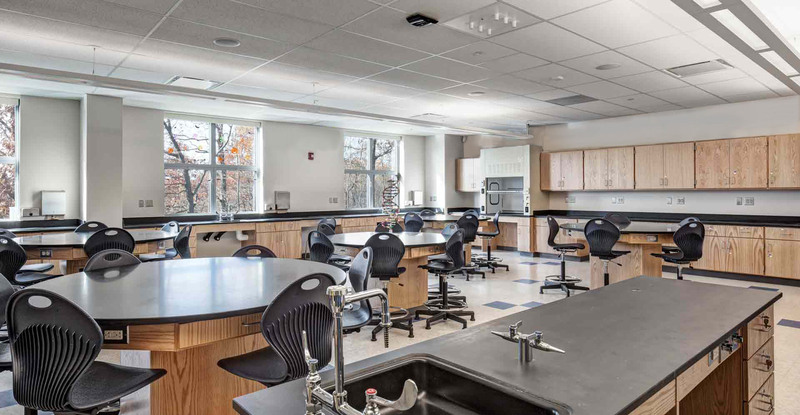 The program called for a 27,000-sf addition to include a media center, computer lab, science labs, and general classrooms, and 15,000 sf of renovated and reconfigured space to include science classrooms, conference rooms, a principal’s suite, several administrative offices, as well as much needed storage space. 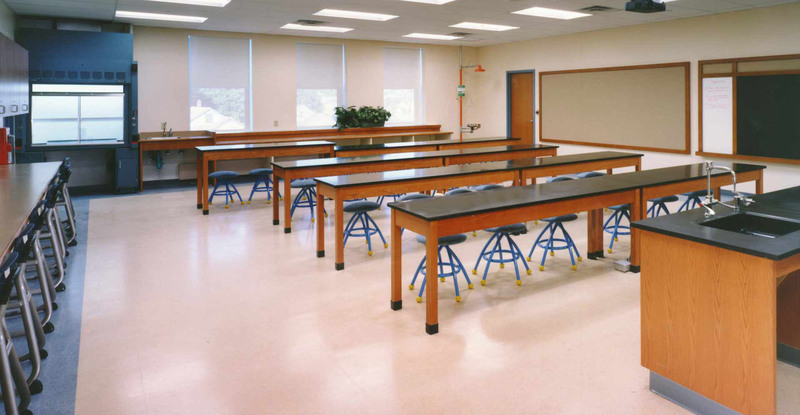 The existing science labs were outdated and were being used by more than one grade. 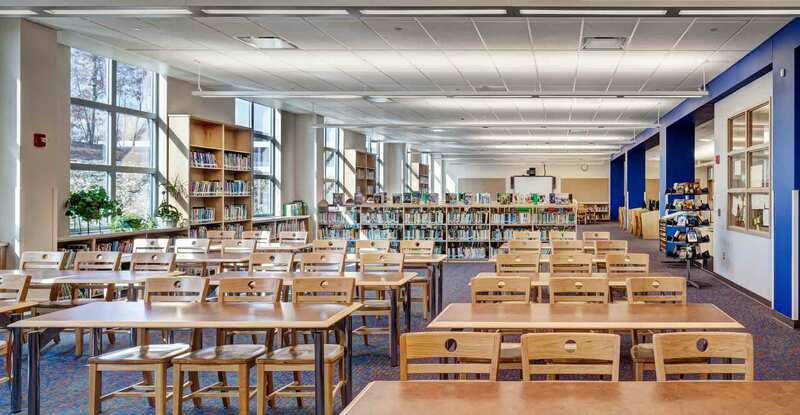 They required additional chemical storage and prep areas, as well as additional resources to elevate the science curriculum to a true eighth grade level. 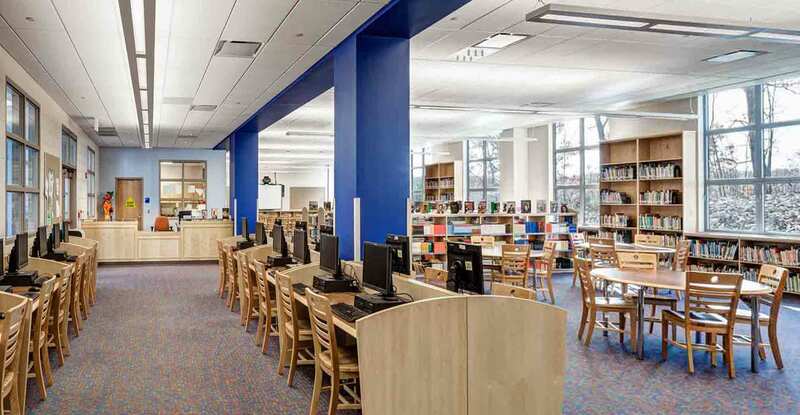 The media center librarian required additional circulation desk area and extra storage space. Previously, no computers were available in the library for student use. The City also required that this space be able to accommodate community meetings and events.